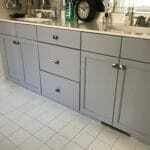 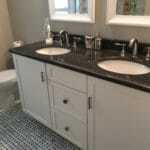 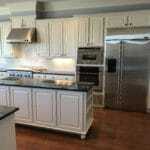 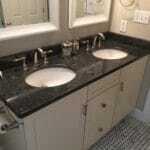 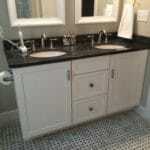 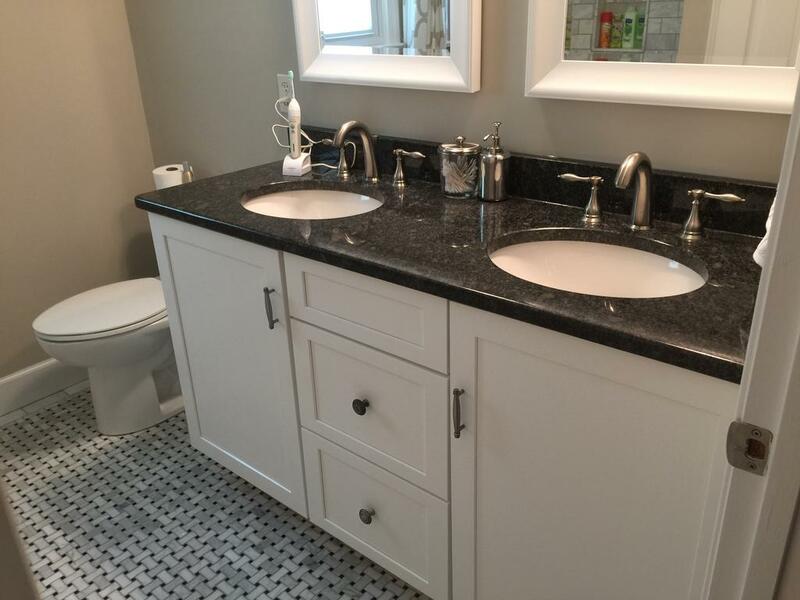 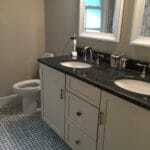 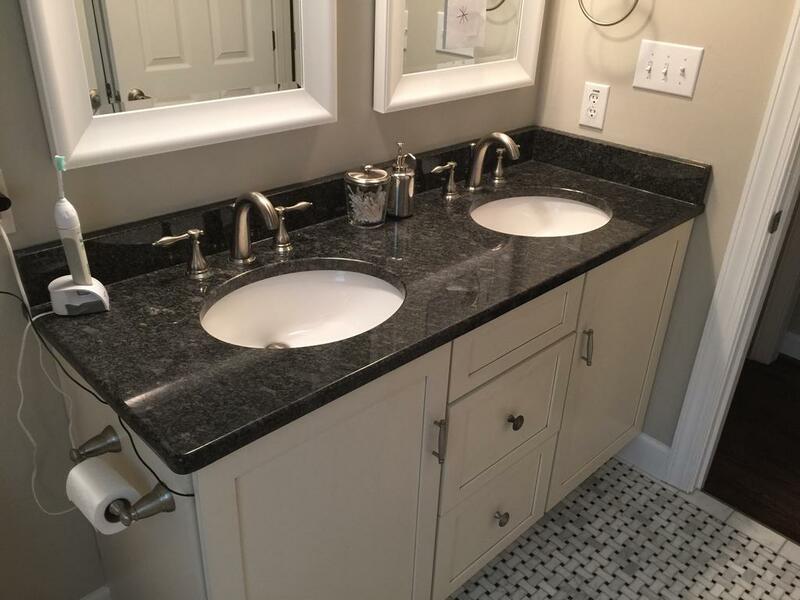 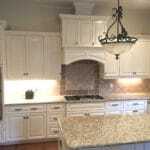 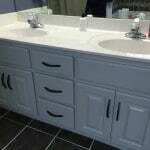 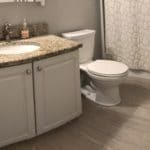 This was a dual project working on both a bathroom and laundry room. 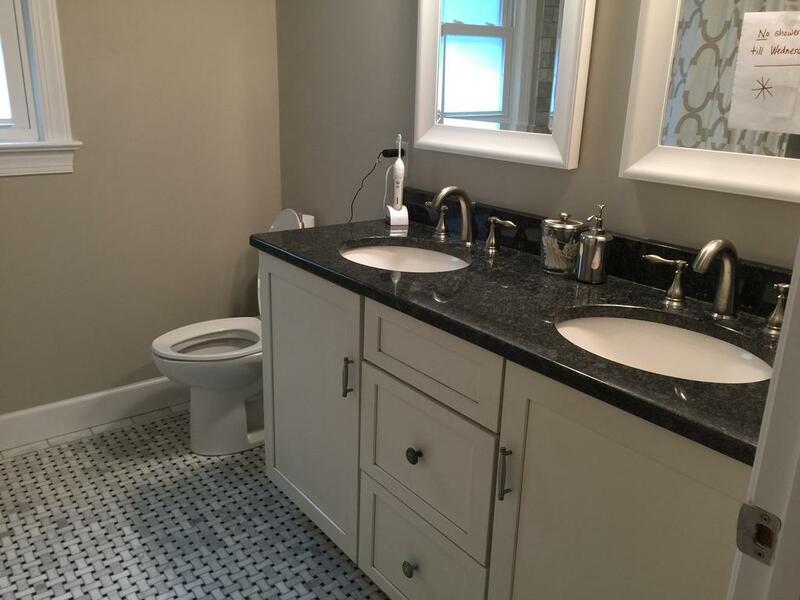 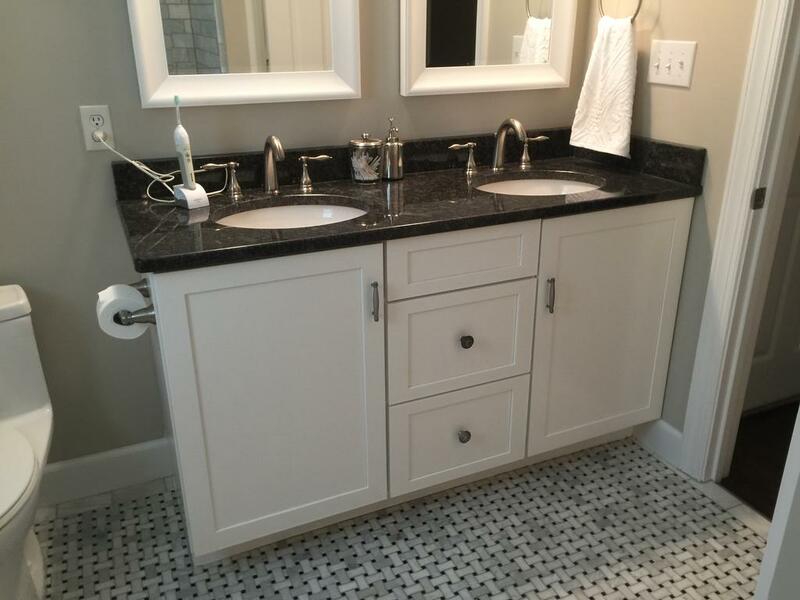 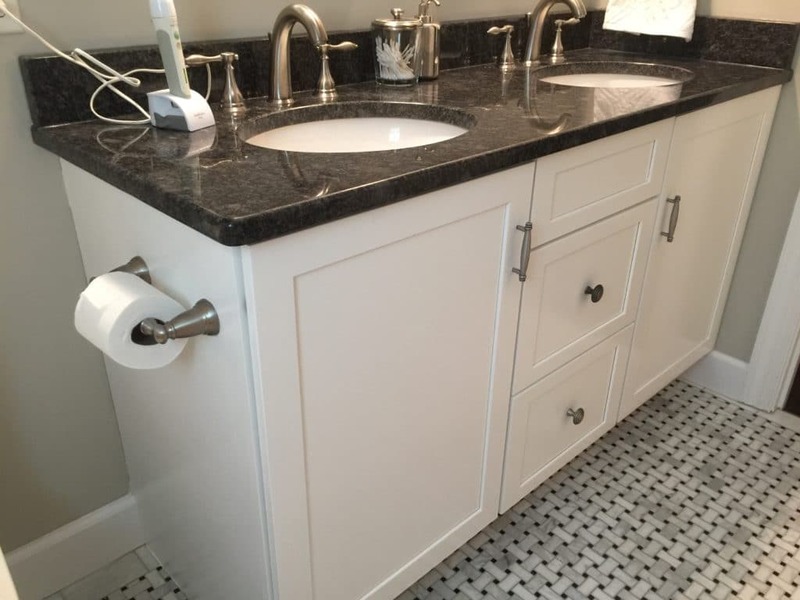 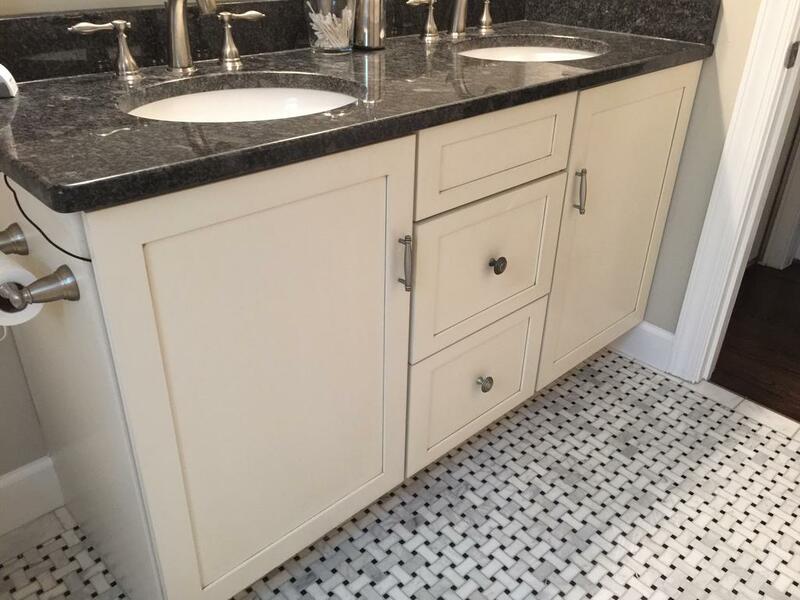 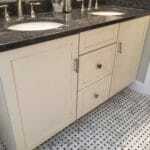 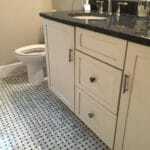 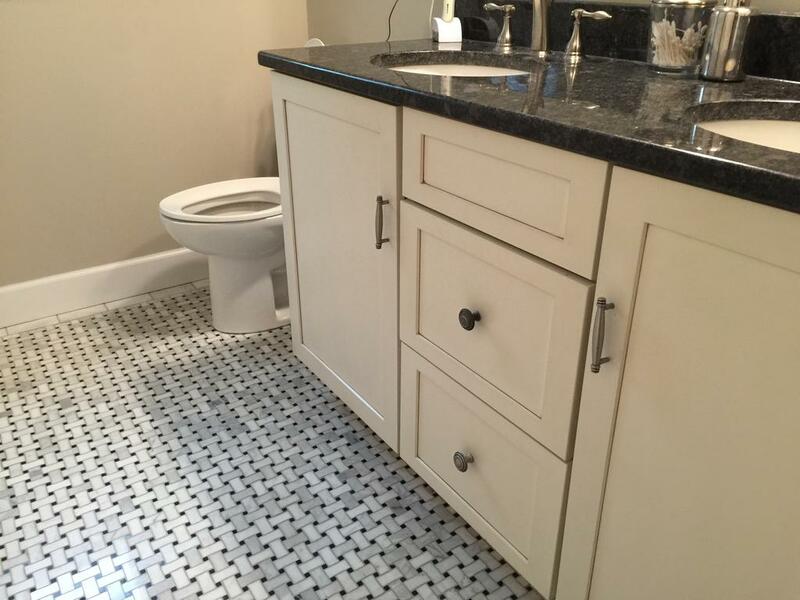 The bathroom cabinetry started out a creamy ivory but didn’t match the gorgeous marble floor and shower tile. 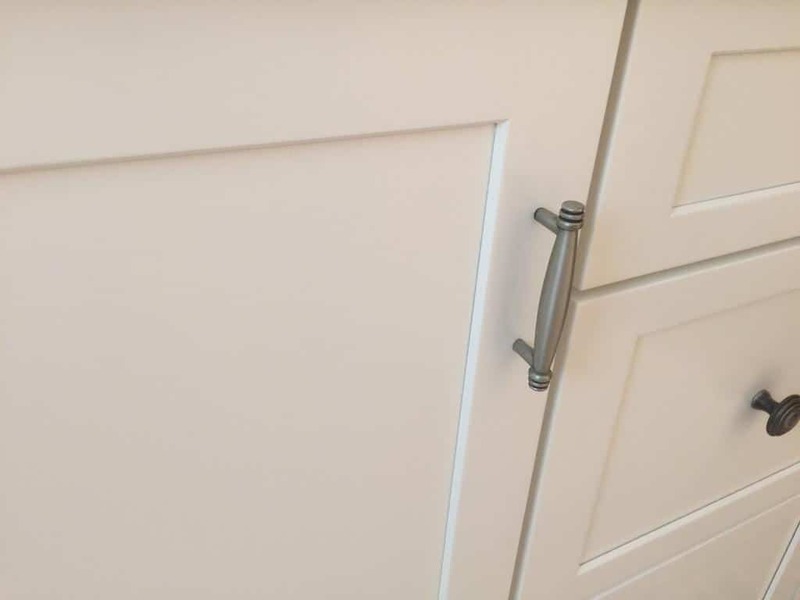 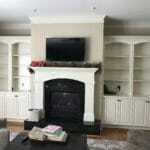 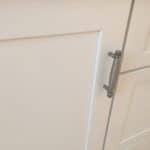 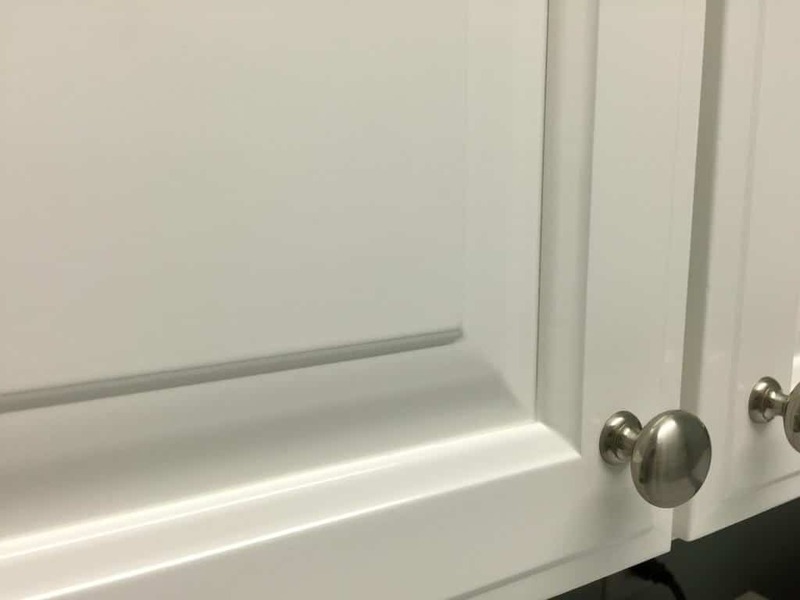 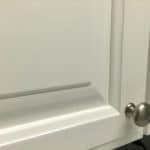 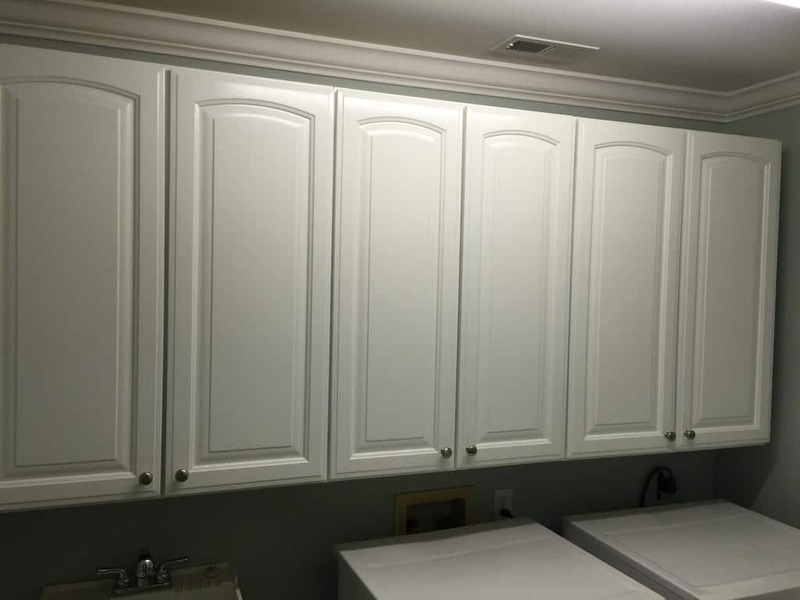 We color matched the trim to making it a very bright white. 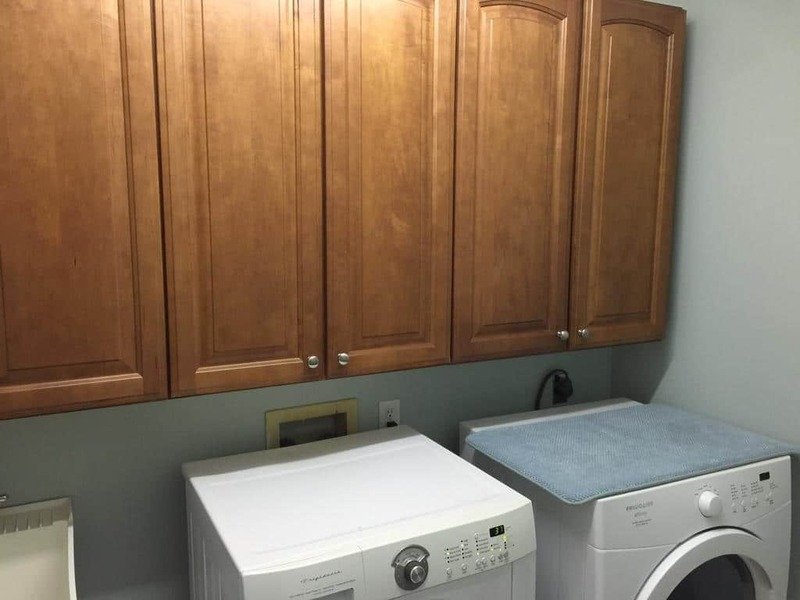 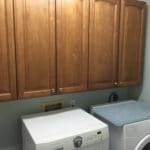 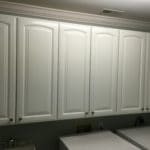 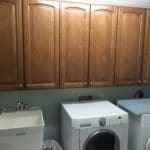 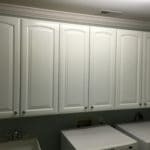 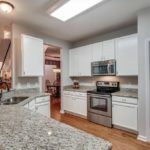 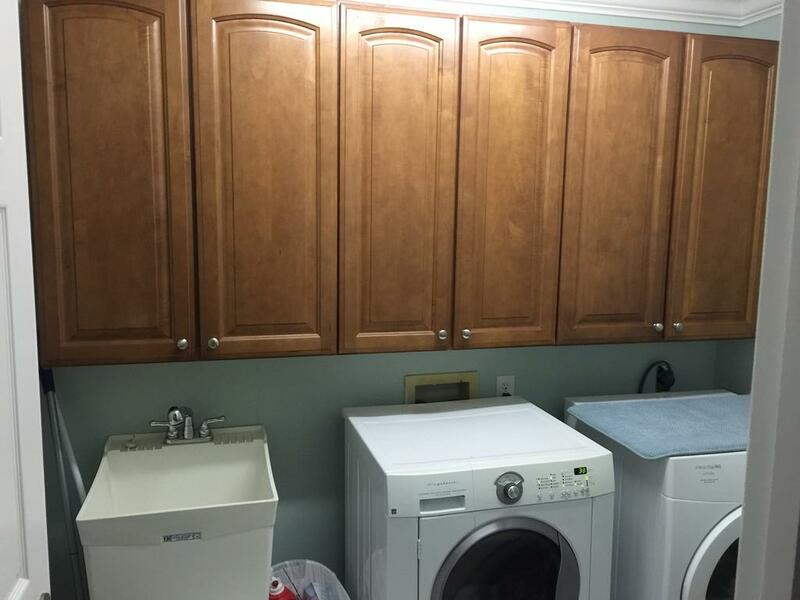 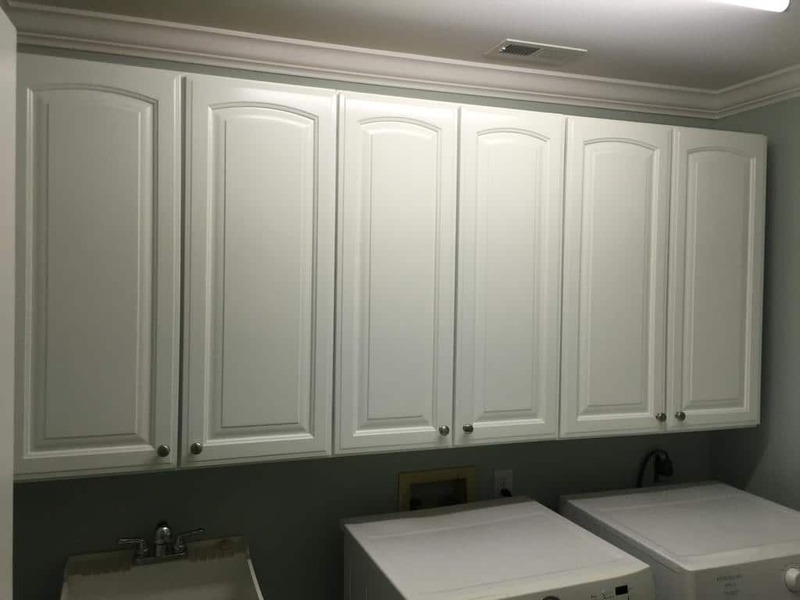 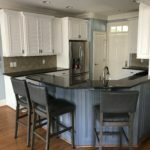 The laundry room was painted to match and ties both rooms together nicely.